A favorite spot for a very special getaway. Right on the Lagoon, which is a pristine saltwater inlet, wonderful for swimming and bathing, or boating. Bring a kayak and spend time on the water, or take a night time row on a moonlit night. This special property is a guest cottage to a main house that is shielded from view by beautiful flowering perennials. 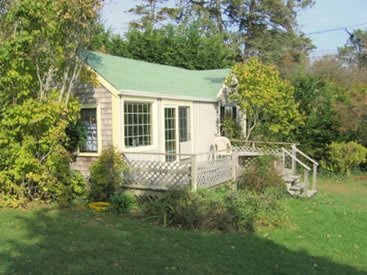 This home is basic, the way a Vineyard Vintage cottage is supposed to be - the Water is right in front of you, and the little beach is adorable. Delve in and fall in love!